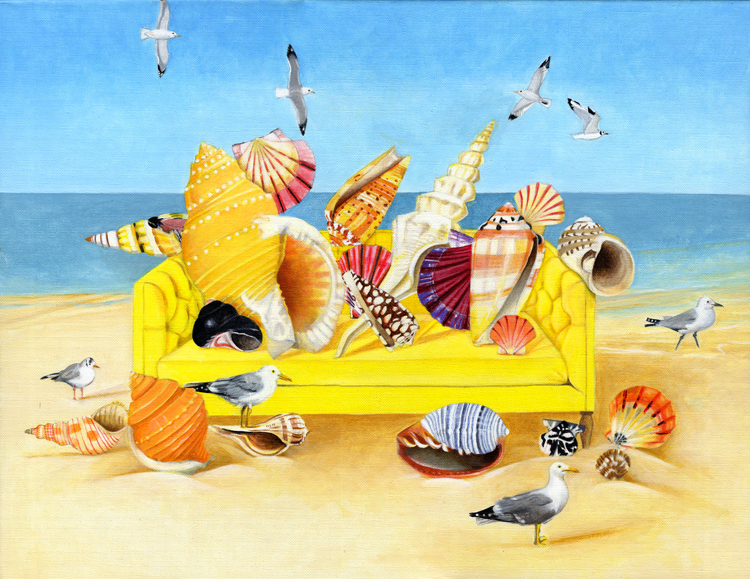 First I found the yellow sofa, then the fabulous shells each one different to the next. The mixing of pattern and colour against the yellows and blues, suddenly seemed a possibility. Each shell is unique and yet, as a collection, it made a dramatic composition.